Top Trump administration economic officials are headed to China in the second half of this week to discuss trade contentions between the two nations. Treasury Secretary Steve Mnuchin, Commerce Secretary Wilbur Ross, United States Trade Representative Robert Lighthizer, Assistant to the President for Economic Policy Larry Kudlow, and Assistant to the President for Trade and Manufacturing Policy Peter Navarro are among those making the trip to China for meetings on Thursday and Friday. Sec. 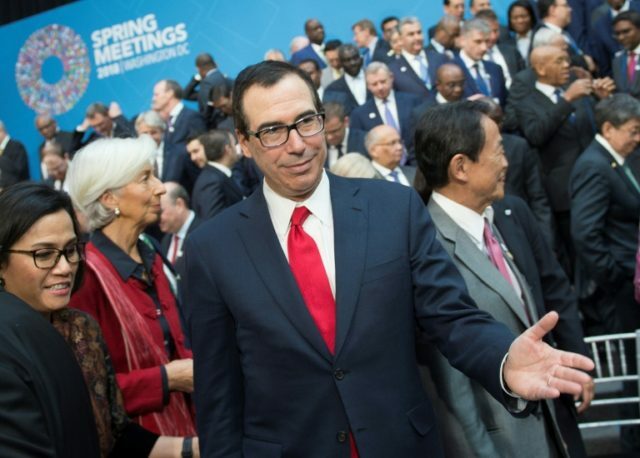 Mnuchin expressed cautious optimism about trade negotiations with China, in a Monday appearance on Fox Business Network. Reuters reported that the U.S. officials plan to press Chinese officials on trade imbalance, intellectual property rights, joint technology and joint ventures. Today, President Donald J. Trump announced the members of an official delegation from the United States to China to discuss the trade relationship between the two countries beginning Thursday, May 3, 2018. Chinese Vice Premier Liu He will be among the Chinese officials participating in talks, according to Reuters. President Trump signed orders on March 8 for new steel and aluminum tariffs of 25 percent and ten percent, respectively. National security served as the basis for the new tariffs. China has taken center stage on the steel debate for its steel dumping practices. In early April, President Trump directed Lighthizer to look at the potential of imposing $50 billion of tariffs on Chinese imports. China shot back with threats of $50 billion in retaliatory tariffs on U.S. imports. Kudlow called China’s initial response to the first part of the U.S. process “highly unsatisfactory,” and that the President and Mnuchin shared this perspective. President Trump responded to the Chinese threat by truly doubling down and doubling potential tariffs on Chinese imports to $100 billion. Chinese President Xi Jinping seemed to relent, expressing willingness to cut tariffs on U.S. auto imports and move to improve protections for intellectual property in China. The promises are not dissimilar to past promises that have been left unfulfilled. White House Press Secretary Sarah Sanders told reporters that Xi’s response is encouraging, but that the administration wants to see “concrete actions from China” and would move forward in considering the new tariffs on China until such action from China is seen.